Do you own a bike, but you are not sure about its actual condition? Or, do you want to buy a pre-owned bike, but you do not know its overall health status? No matter which vehicle you own, it is very important to get it checked or inspected after a certain period of time. Used bike inspection is necessary and it is a good practice if bike inspection is carried on time to time without any fail. This assures that the bike you are using stays in good health. 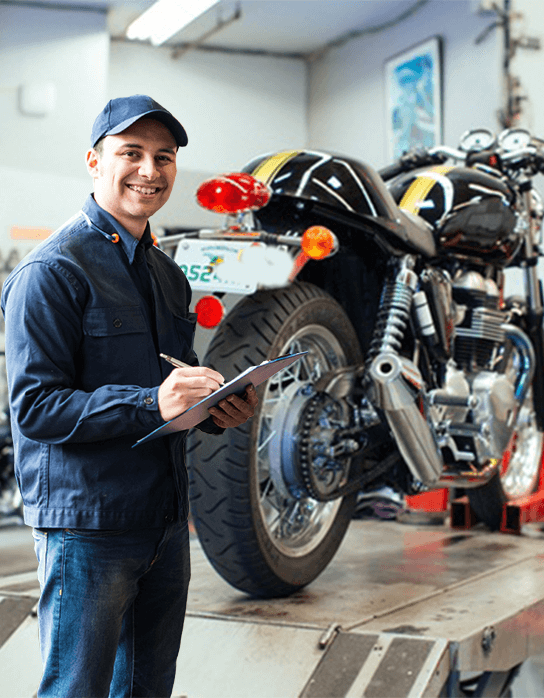 However, Bike inspection could be full of trouble and hassle sometimes when you are not sure about the technician or the mechanic. Also, there is another problem with taking the vehicle to a workshop to get it inspected. This is where ECO by Droom, India’s first and only marketplace for automobiles and vehicle related services, comes in. ECO inspection services by Droom provides used vehicle inspections at a very competitive cost. The services include used car inspection service, used bike inspection service and used scooter inspection service. Moreover, all these inspection services are carried out at your doorstep without putting you in any kind of hassle. We understand that our users have a busy schedule and are busy in their daily life, so, ECO used vehicle inspection services are provided at the time mentioned by you as per your convenience. ECO is an online tool that provides you with the best inspections services for your vehicle. Not only your own bike, but even if you are planning to buy a used bike but you are not sure about its actual condition, you can book a bike inspection service from ECO. In fact, it is highly recommended that you get the used bike checked properly before buying it. Bike inspection services from ECO helps identify any kind of problem with your bike. The inspection will be carried on by an experienced technician who will see if any of the parts are malfunctioning or if there is any damage.